You are here: Home / IT careers / Programmer, Developer or Coder – what’s in a name? Programmer, Developer or Coder – what’s in a name? As mentioned in my previous post, part of the problem with IT is its persistent association with geeky programmers, that you need to be good with computers to work and thrive in this industry. There is a false perception as there are a wide variety of roles available to the technical and non-technically minded. That said, programming in its many varieties is still important. But what does a programmer do, and why all the different names? So what is programming anyway? Let me go back a step. Computers, whether they sit on your desk, are held against your ear (smart phones are computers on which you can usefully make phone calls! ), or are hidden somewhere silently in your washing machine or car engine, need to be programmed. That is, they need to be given precise instructions on what to do. These coded instructions are programs written in a programming language, generically known as software, hence the grander all-encompassing term software engineering. To complete the picture, hardware is the physical stuff that you can see, touch, and occasionally hit! But it is likely to be the software that is causing the problem, possibly because it wasn’t designed, coded or tested adequately. There are other reasons why IT fails, but that is a different topic for another time. Fast-forward several decades and many lifetimes of computing evolution, and programmers are now more commonly called developers, in that they develop, i.e. create, a software product by writing those same lines of code – a line equals a single instruction. However, they are more likely to assemble pre-packaged code with glue (I kid you not! ), or connect and integrate (integrators) existing off the shelf applications, software components or services. A good analogy is to think about music [or web] mash-ups as something new created from existing parts. It is rare in any sphere of computing that a programmer will start with a completely blank page. 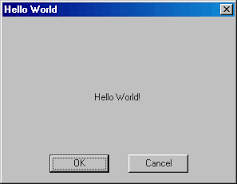 The first thing a programmer does ‘Hello world!’ – we are a confident (or insecure) breed! The new mandatory Computing curriculum introduced in England schools in 2014 has come full-circle and is promoting programming as a core learning objective for all schoolchildren. Even if you never write a line of code in your life it’s worth thinking about the people (men and women!) who do, working behind the scenes so that you can use an app, browse a website, do your online banking or watch an animated film. 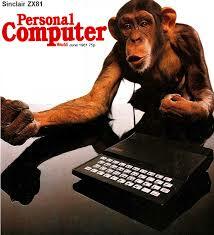 This series will continue to look at other jobs and roles in the world of IT and computing. Thank you for leaving me a comment with your thoughts.